We hope you are having a good start to the week, not that long away until the weekend now. There has been many improvements behind the scenes at Halls Group (UK). We have been working around the clock in making sure our customers get the best experience possible. So let’s dive straight in with this update. We have fully redesigned the website to make it more modern, simple to use and easy to navigate. We have also brought in our own company values which is built into our brands DNA. Our new website is now live and ready for public viewing! Please do check it out and let us know what you think about our new design. Click here to view Halls Group (UK) website. Halls WebCare no longer exist, we felt the name didn’t fully represent the company. 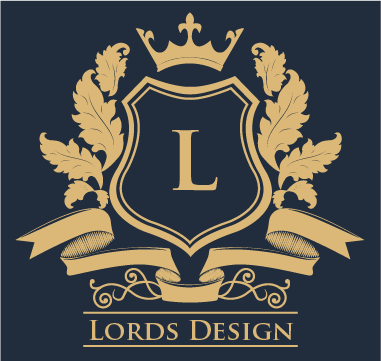 We are proud to announce the new company name will become Lords Design. Digital First Web Development Company based in the United Kingdom! WebCare – including website maintenance, updates, changes. The only part that has been changed is the company name, the logo and website URL and website design. You can rest assured that nothing has been changed or removed, you will continue in getting great services and support as before. The website we currently maintain has already been updated to reflect this change. Here is a few examples of our customers new footer (end of the page). We personally think it’s looks much cleaner and more modern! We fully appreciate customers like to get in touch with our colleagues in support in different ways. That is why we have improved the way customers can now get in touch with us. 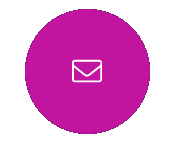 On every single web page on Lords Design you will now see a purple circle in the left hand bottom corner. 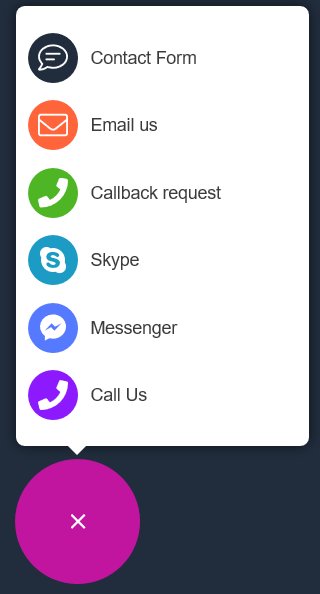 When you click the hovering circle it comes up with 5 different ways for our customers to get in touch with our support colleagues. We are working on others way for our customers to get in touch with us.This service is only on Lords Design website. We want to try this feature out before rolling it out on Halls Hosting website. Click here to view Lords Design website. Starting from today, all our customers from both brands will now be able to call our experienced support colleagues! We’re really happy to bring this service back after huge demand. This service is only in trial to see how it goes. After 2 to 3 months we will ask customers for feedback and to decide to keep this feature permanently. You don’t need to call different numbers for Halls Group (UK), Lords Designs or Halls Hosting. You just call one phone number and our colleagues in support can help with all of our brands. When using our live chat or calling us for support, you will always be asked secuirty questions to confirm you are the account holder. Failure to answer the question/s your account might be temporarily suspended at the support colleague discretion. This is to insure your accounnt is secure. Customer secuirty is our number one priority which we take extremely serously. Please make sure you keep you secuirty details always uptodate, failure to do so we will not offer support over live chat or phone support. Follow the links below to make sure the details are filled in/ up to date. Halls Hosting customers, please click here to make sure all the details are up to date. Example of the screen below. Lords Design customers, please click here to make sure all the details are up to date. All calls inbound and outbound will always be recorded for training, mointoring and for your account secuirty. We always have operated 24/7 support online. Just email our support collegues, they will be more than happy to help. Please note, we can not always guarantee phone lines will always be available due to support volumes. Our colleagues have been working on a new website design for Halls Hosting. The new design does look clean and stylish but keeping it easier for customers to use the website. Our new design will be rolling out shortly. We are currently just finishing the core design coding Once we have done that part, we will roll it out to our beta customers to test before making the final design live for public use. There is new features and products coming soon with this update. We will send out another news update once this has been completed and finalised. We can’t wait until you see the new Halls Hosting design, we have worked extremely hard in getting this ready for our customers. We just like to remind everybody that Halls Group (UK) is the parent company of Lords Design and Halls Hosting. We would love to hear your feedback on this latest update from us. No matter if the feedback is good or bad, we will always listen, adapted and take action. If you have any feedback for us then please reply to this email. That is it, the latest update from Halls Group (UK). We hope you enjoy this latest update. We will be in touch soon with Halls Hosting News.